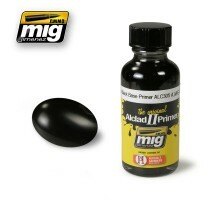 High quality gloss black primer. This is the recommended priming product used before applying high shine metallic paints for the proper surface preparation. 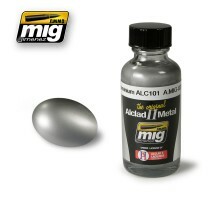 This color is airbrush ready, no thinning necessary. 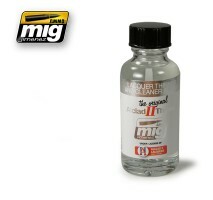 Clean airbrush with A.MIG-8200 (307 Lacq..
High quality black microfiller and primer. This is the recommended microfiller used before applying high shine metallic paints to ensure proper surface preparation. This color is airbrush ready, no thinning necessary. 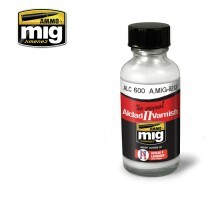 Clean airbrush with A.MIG-8200 (..
High quality acrylic varnish. Ideal for protecting all types of lacquer, semi-polish, enamel, or acrylic paints such as AMMO, Tamiya, Gunze, and Alclad II. It provides a durable and smooth surface for applying decals or weathering effects with any ty..